For many years, religious life in the village centred around the Parish Church. However, by the mid 18th Century, the Church of England was beginning to lose its grip. Those residents who sought a 'non-conformist' alternative held services in their own dwellings. 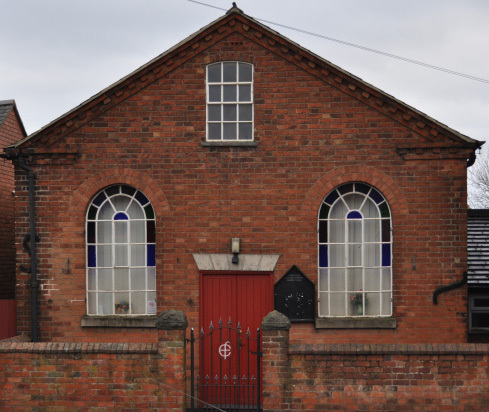 2019 marks the 125th anniversary of the building of the Wesleyan Methodist Chapel on Main Street, Markfield, now known as Trinity Methodist Church. This page provides a brief account of the development of the different Christian church and chapel buildings found in Markfield. Learn more about the history of St Michael’s Church. John Wesley, founder of the Methodist movement along with his brother Charles, was a frequent visitor to Markfield in the late 1700’s. He preached here at least 13 times between 1741 and 1779. So many people came to hear him that there was not enough room in St Michael’s, so he preached outside. He was able to preach in St Michael’s because of his patronage by Selina, Countess of Huntingdon. She was the wife of Theophilus Hastings, the 9th Earl of Huntingdon. The Hastings family appointed the rectors of Markfield for many years. Selina herself was also noted as playing a major role in financing and guiding early Methodism. The rector, Rev Edward Ellis, opened the rectory to John Wesley on his first visit to Leicestershire. At first, non-conformist villagers who no longer wished to worship at St Michael’s would hold services in their own houses or cottages, as there were no chapels to use for worship. The Leicester Quarter Session in 1762 gave John Thompson the first recorded permission for a house to be used as a meeting place for 'Protestant Dissenters from the Church of England'. In 1762, permission was granted for a meeting place for dissenters 'called Baptists'; and in 1780 a number of villagers joined together for 'the worship of Almighty God' in the house of one William Bacon. At some stage, a row of cottages opposite the Co-operative store on Main Street may have served as some form of chapel. A church shaped window in the middle at the back is just visible from Holywell Lane towards the Co-op. Another in the front wall of the cottages is only visible from the inside of the property. 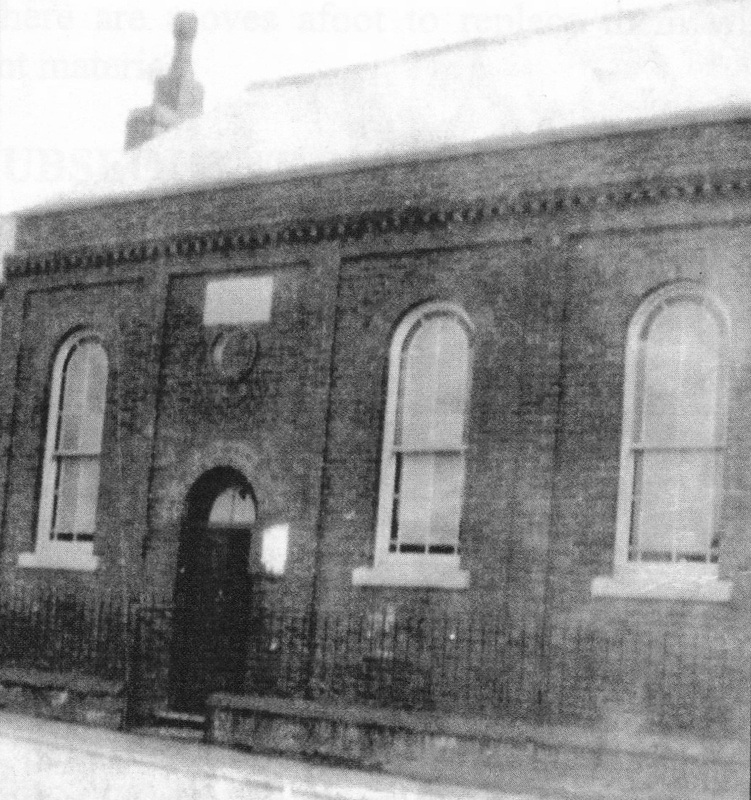 The earliest dated Methodist Chapel lies at the top of Holywell Lane. This was opened in 1811 and may be the Meeting House mentioned in the 1813 Village Land and Property Survey. This names as proprietors the Westley Meeting House Trustees (more probably Wesley, i.e. the Wesleyan Methodists). *The temperance movement is a social movement against the consumption of alcohol. Alcohol has never been allowed in Methodist churches. Over time, groups broke away from the Wesleyan Methodists, including the Bourne or Primitive Methodists. They saw themselves as the true guardians of the original (or primitive) Methodism that John Wesley had started. The Bourne/Primitive Chapel became known as the ‘top chapel’, as it was towards the top of Main Street. 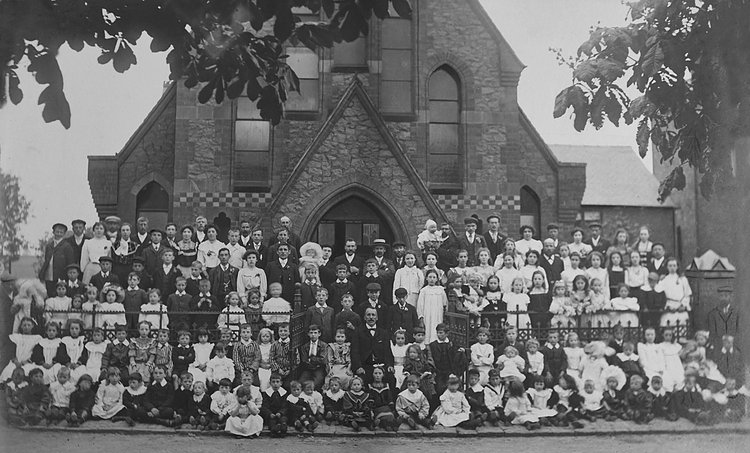 Thus for some years, two Methodist churches existed in Markfield. In 1932, the Wesleyans and the Primitives were the two principal partners in the union that formed the one national Methodist Church we know today. 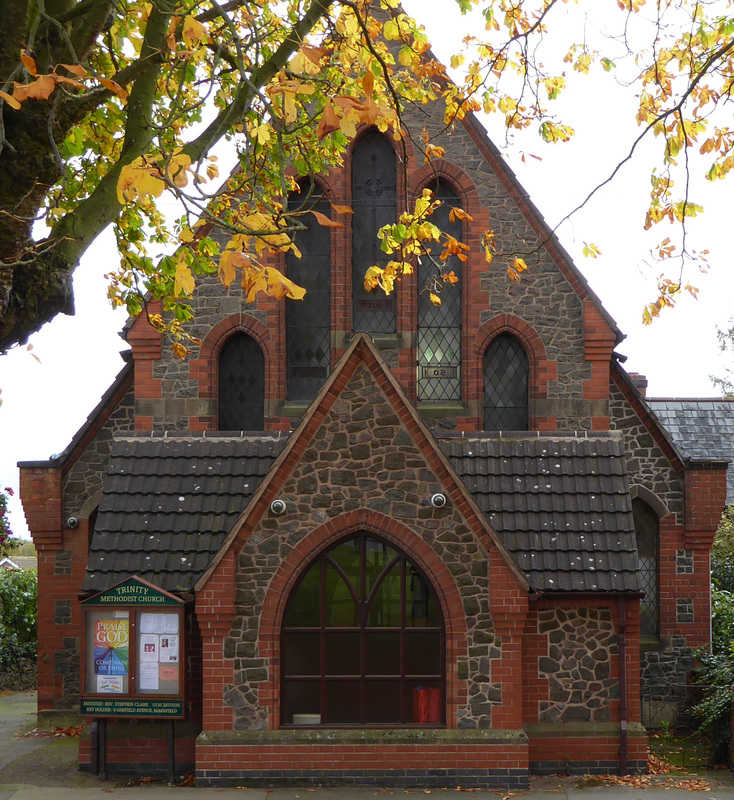 Almost thirty years later, in 1960, the two Markfield chapels united in the Wesleyan Church building and formed the present Trinity Methodist Church. This left the Bourne/Primitive ‘top chapel’ redundant. There have been later additions to Trinity Church, including the entrance lobby. 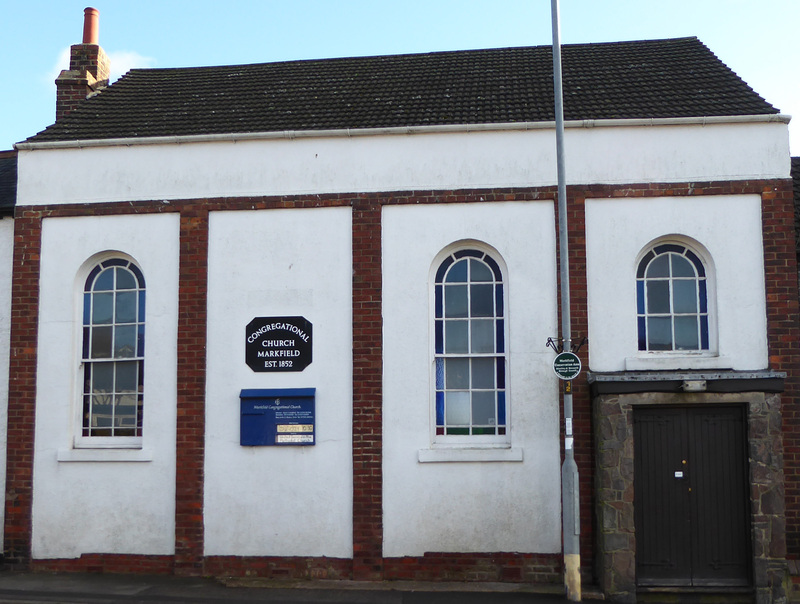 Over time, the original Congregational Chapel proved too small and so in 1963, the congregation moved to the redundant Bourne Methodist Chapel. In 1972, the members voted to remain Congregational, rather than joining the newly formed United Reformed Church. Catholic worship has centred on Leicester and Coalville. 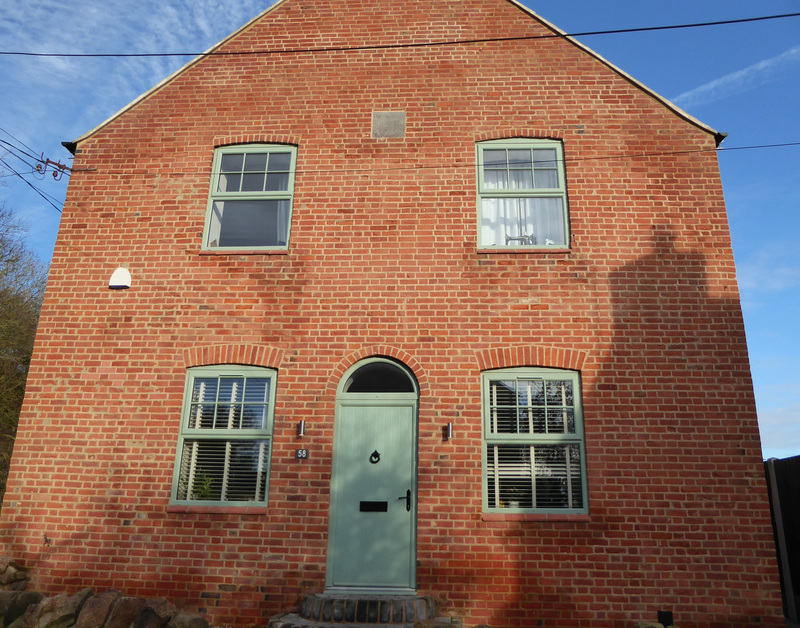 Mass was first said in Coalville in a private house in Ashby Road with an average congregation of between 16 and 20. In 1900, Edwin de Lisle erected a temporary church, St Saviour’s, at Coalville. In 1967, the new our Church of St. Wilfrid of York was consecrated, and remains in use today. 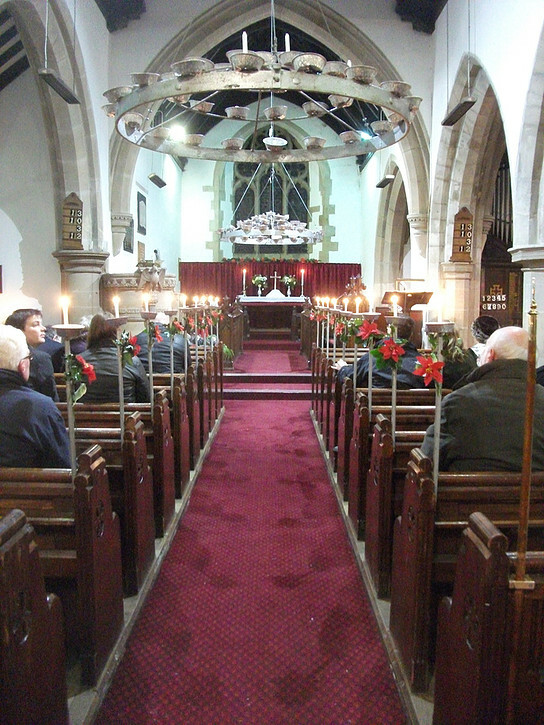 Services are also held from time to time in Markfield in the Congregational Church Hall.